These Unique Gifts Are Made for COLORING!! Are you or is someone you know a die hard coloring book enthusiast? No doubt these books are a big hit for their therapeutic enjoyment. But if they already have stacks of these great books already, you may be thinking how can I outdo that, am I right? Well, surprisingly enough, coloring pages and books are giving way to some unique and innovative other products. 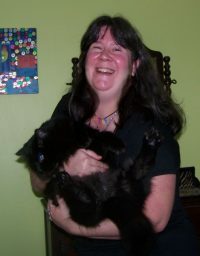 Simple pages are expanding into other things you may have never expected and that is where you, the gift giver, come in. If you want to make that special occasion more special take a look at what I have found! Color In Your Own Drink Tumblers! These Wall Art Canvases Are Made To Be Colored In! Wow, did you know that now there is a line of actual beverage coasters that you can color to your liking? 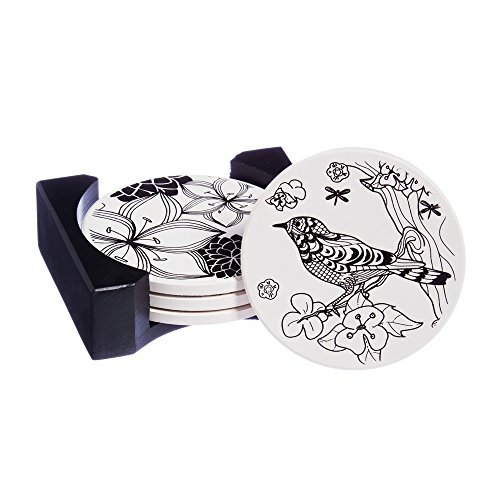 Mandalas floral patterns, and zentangles are getting a fresh new life in the form of actual coasters! You’ll receive a set of 4 and some like this one here, have their own caddy. This set here has birds and plant scenes on it but there are some with detailed patterns. 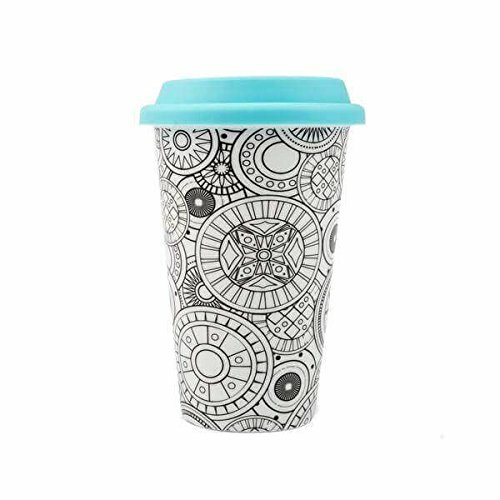 Now travel tumblers and to go cups can be made to color too! The perfect gift for the traveler colorer! 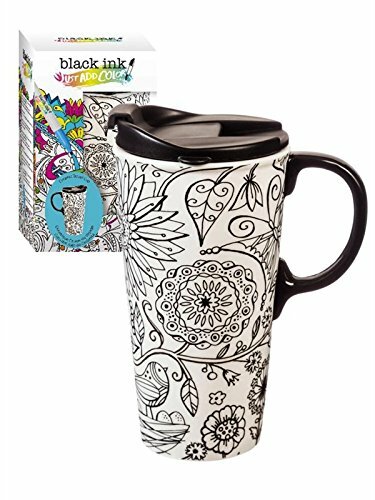 There are also ceramic mugs that you can color in as well! For both types, you actually “bake” the design in your home conventional oven to set your finished work – wow, isn’t that a dope idea? In some cases, the markers are sold separately but there are a few sets that do include them too as a nice bonus. The marker ink is removable so if you make an “oopsie” you can clean it off and start over before committing and baking in the oven. You’re going to want to top this off with a set of food-safe markers, too to complete the ensemble if you choose the mug by itself. If you really want something that will grace the home and get compliments now there are actual canvas with outline designs to color! 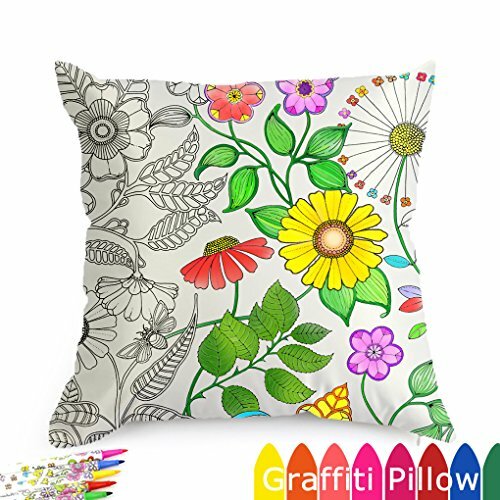 There are a range of sizes and designs to bring out the true artist in you. Even if you think you don’t have a talented bone in your body you’ll soon see how relaxing and fun it can be to produce your own wall art with these pre-made designs! 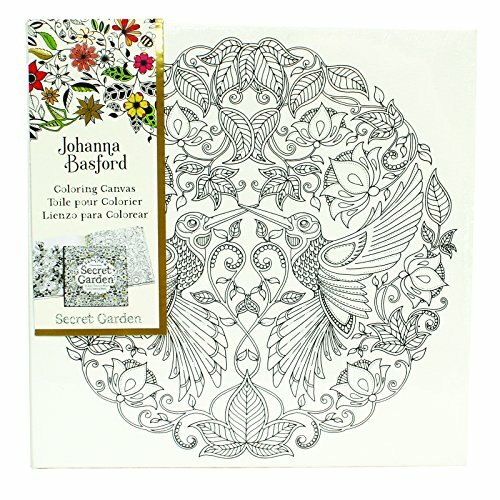 I love this one here with birds and botanical garden flourishes….if you have a wide selection of pen colors you could make this something beautiful. Tired of the boring old selection of vinyl placements? 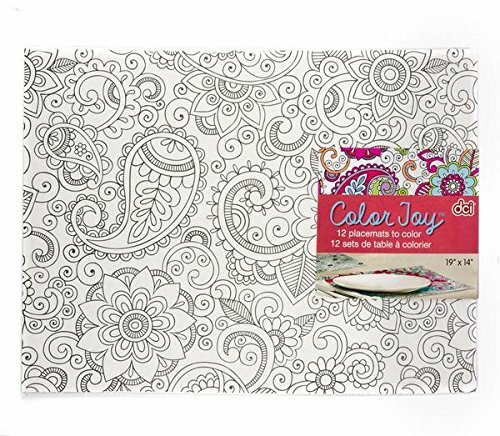 Why not try coloring your own? The next family gathering or dinner party is going to be something special when you set the table with these! 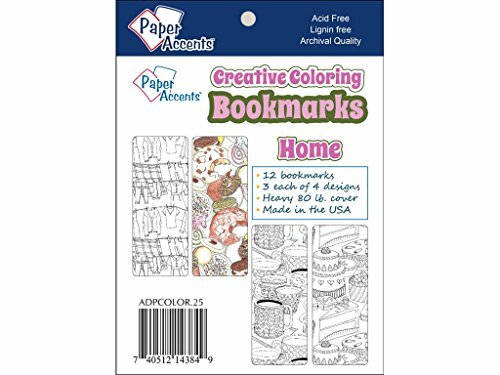 If you read a lot, you probably have your own prized bookmarks as well…If you have a bookworm in the family as well, these color-it-yourself bookmarks are a dynamite stocking stuffer or just because gift. 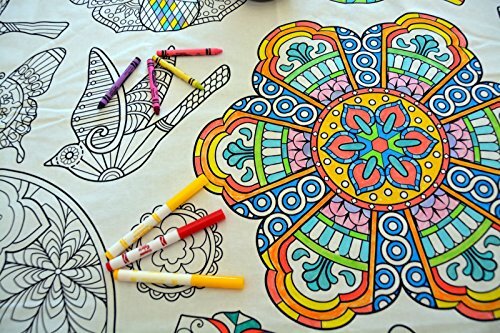 A great choice for adults and kids alike who love coloring. This set here is a great choice as it already comes with a nice marker set too. Talk about a conversation starter – everybody will want to know where you got such pretty pillows. 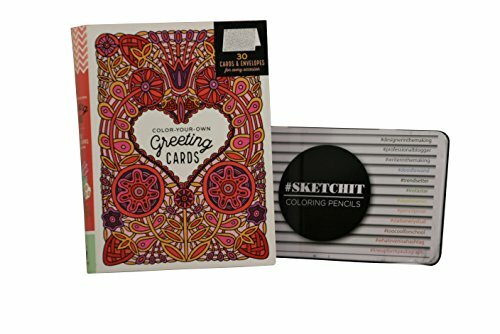 Now you can color your own greeting cards! If you ever feel card design-challenged, these cards are the standard size, have already included envelopes, too. What a thoughtful way of showing appreciation or support with a handmade card that you colored yourself! 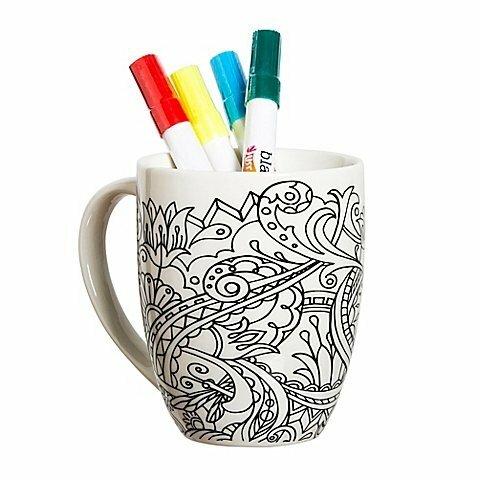 This set to the right is a really good choice as it has intricate designs making it an ideal coloring gift for adults, plus it has a set of colored pencils that come with it too! Well, that’s our coloring gift lineup! I hope you enjoyed it…I never thought there were this many mediums for self-expression out there, did you? There you have it…going above and beyond “the book” – (the coloring book that is 🙂 Happy shopping!